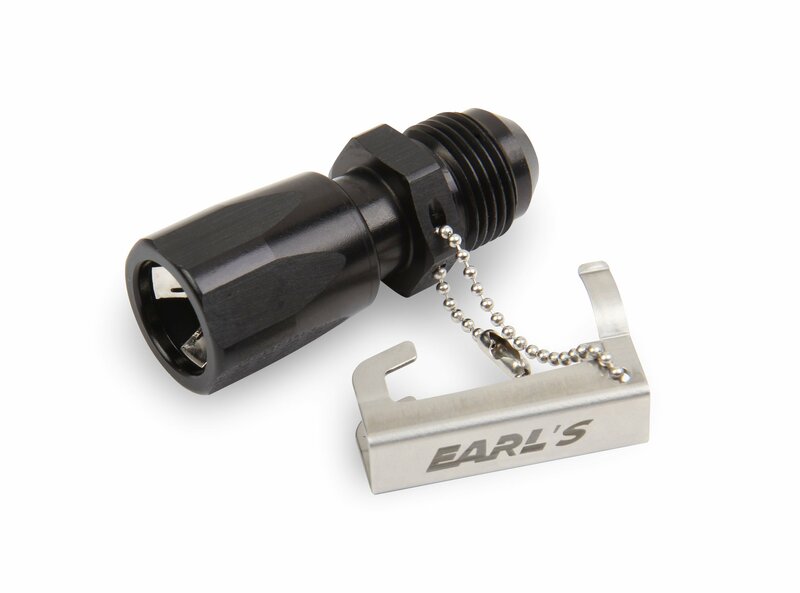 Earl's Quick Connect Adapter fittings are a slick easy way to use AN plumbing with late model OE fuel rails & fuel lines. Each quick connect uses two reusable metal retainers that won't break or melt. The secondary retaining clip is attached to the fitting on a tether chain.